On the afternoon of Monday 21 January 2019, Pope Francis received in Audience Mr Abiy Ahmed Ali, Prime Minister of the Federal Democratic Republic of Ethiopia. Pope Francis on Monday met with the Prime Minister of Ethiopia, Abiy Ahmed, at an Audience at the Vatican. According to a communique from the Holy See Press Office, the “cordial talks” emphasized “important initatives underway for the promotion of national reconciliation, and for the integral development of Ethiopia”. The talks also focused on the “role of Christianity in the history of the Ethiopian people”—Ethiopia was one of the first lands to adopt Christianity, and the Ethiopian Orthodox Tewahedo Church remains the largest religious body in the country by population. During the discussions, the situation in Eastern Africa was addressed, including the importance of the “peaceful resolution of conflicts and the socio-economic development of Africa.” In particular, Ethiopia’s “commitment to the stabilization of the Horn of Africa,” and the recent resumption of diplomatic relations with Eritrea were noted. Earlier this month, in his address to diplomats accredited to the Holy See, Pope Francis took special note of the “historic agreement” between the two countries, which he described as one of the significant signs of peace in the past year. At the conclusion of their encounter, the two leaders made a traditional exchange of gifts, with the Prime Minister offering a present of traditional Ethiopian fabrics, along with a painting of the Risen Christ. The Holy Father, for his part, presented Prime Minister Abiy with a medallion with an image of an ear of corn and a bunch of grapes in the desert – a reference, the Pope explained, to the prophecy of Isaiah, that the desert would one day become a garden. Pope Francis also gave the prime minister a copy of the text of the Message for the World Day of Peace, and bound copies of four other Pontifical Documents: Evangelii gaudium, Laudato sí, Gaudete et exultate, and Amoris laetitia. Following the Audience with the Holy Father, Prime Minister Abiy met with Vatican Secretary of State Cardinal Pietro Parolin, and Msgr Antoine Camilleri, Under-Secretary for Relations with States. PM Abiy Ahmed met with Director General of the Food and Agriculture Organization of the United Nations, Mr. José Graziano da Silva. Mr. da Silva appreciated the role being played by Ethiopia in the Horn region and PM Abiy’s political leadership. Putting people before GDP: Policymakers and leaders across the continent can tackle the issues of poverty and inequality if they take a “human economy” approach. This means focusing on “what works for the majority of African people” rather than measuring growth solely by GDP. Seven of the world’s 20 most unequal countries are in Africa. Strong GDP growth in Africa is a good thing, right? Not if the benefits aren’t shared equally, argues a new Oxfam report. Africa has experienced a decade of significant growth – at one point, six of the 10 fastest growing global economies were on the continent – but the proceeds haven’t been evenly distributed. Millions have been left behind, and to make matters worse, slowing growth could increase poverty further, says Oxfam. The most pessimistic forecasts suggest 250 to 350 million more people could be living in extreme poverty in the next 15 years. There is a solution though: the human economy. Seven of the world’s 20 most unequal countries are in Africa, with Swaziland the most unequal, followed by Nigeria, Namibia and South Africa. In South Africa, the richest 1% owns 42% of the country’s total wealth and three billionaires have the same wealth as the bottom 50% of the population, according to Oxfam. 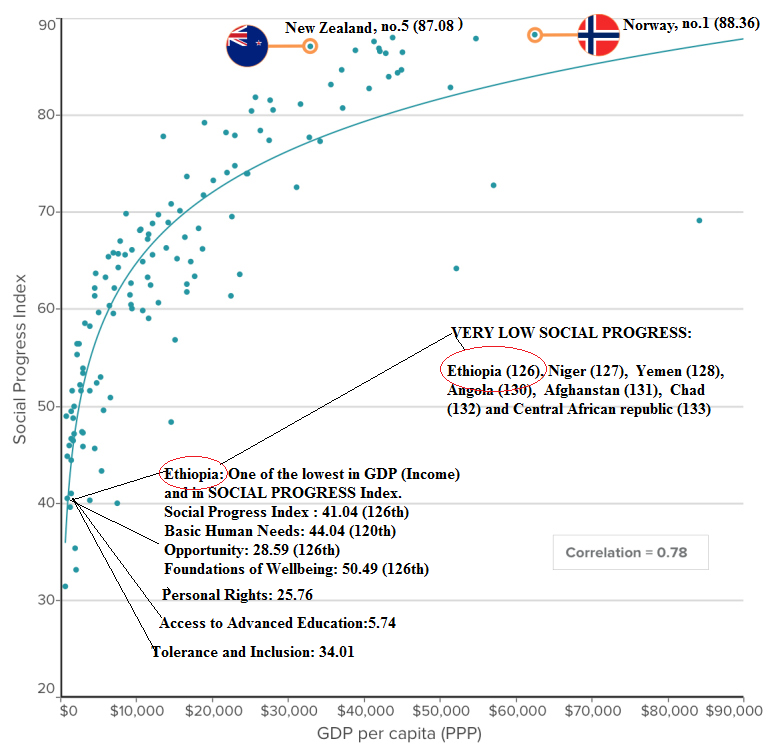 Why is inequality so high? The impact of colonialism lingers, and the structure of many African economies means the benefits of growth have not been shared, according to the report. Inadequate investment in agriculture, large informal sectors and over-reliance on extractive industries have exacerbated inequality. The hardest hit are young people and women, particularly in rural areas. Ignoring their potential is having a major impact on African economies. Gender inequality costs sub-Saharan Africa more than $90 billion every year. Meanwhile, better policies and investment in young people could be worth up to $500 billion every year for 30 years. With Africa’s large – and growing – youth population, there is an urgent need for action. The legacy of colonialism and current policies can be overcome, argues the paper. Policymakers and leaders across the continent can tackle the issues of poverty and inequality if they take a “human economy” approach. This means focusing on “what works for the majority of African people” rather than measuring growth solely by GDP. Posted by OromianEconomist in Africa. Lindiwe MazibLiuko, a South African politician and former leader of the opposition, thinks it does. In a session on leading in an era of disruption, she called for a new generation of leaders to do a better job of addressing the continent’s challenges. Chances are you won’t make it in person to the March for Science in Washington DC, but you can be part of the ongoing Earth Day campaign to educate everyone about climate change, and its unprecedented threat to our planet. The theme of this year’s Earth Day, on 22 April, is Environmental and Climate Literacy. The Earth Day Network, which coordinates the global awareness-raising day, is launching an ambitious drive to ensure every student in the world is “climate literate” when they leave high school – by Earth Day 2020. You certainly don’t need to be a climatologist to talk knowledgeably about climate change, but it helps to have the key facts at your fingertips. So here’s a handy guide to get you up to speed on the climate change basics. 2016 was the hottest year on record, according to separate analyses by scientists at NASA’s Goddard Institute for Space Studies (GISS) and the National Oceanic and Atmospheric Administration (NOAA). It was also the third year in a row to set a new record for global average surface temperatures. This record-breaking heat is part of a long-term warming trend. The Earth’s average surface temperature has risen about 1.1 degrees Celsius since the late 19th century, when modern record-keeping began, and is projected to rise further over the next hundred years or so. The warming, most of which has happened in the past 35 years, is being driven largely by increased carbon dioxide and other man-made emissions into the atmosphere. We’ve now had 627 months warmer than normal, when compared with an 1881-1910 baseline. If you were born later than December 1964, you’ve never known a month cooler than average, according to Climate Central. Years in the making, the Paris Agreement, signed by 196 nations in 2015, aims to keep global temperature increase well below 2 degrees Celsius above pre-industrial levels, and if possible, below 1.5 degrees Celsius. This can only be achieved if countries stick to their commitments to significantly reduce greenhouse gas emissions. During his campaign, President Donald Trump promised to withdraw the US from the landmark agreement. Air bubbles in glaciers provide a record of temperature and carbon dioxide stretching back 800,000 years, so scientists know the planet has experienced global warming before. But this “paleoclimate” evidence also shows that the current warming is happening much more rapidly than in the past. 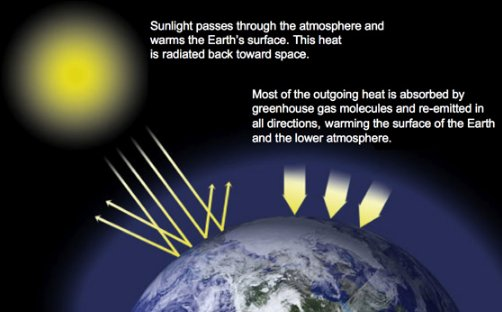 The primary cause is the emission of greenhouse gases into the atmosphere, mostly carbon dioxide, which form a blanket that traps heat at the Earth’s surface. Human activities such as burning oil, coal and natural gas and deforestation have increased the amount of carbon dioxide by more than a third since the Industrial Revolution began. Rising global temperatures affect rainfall in many places and increase the chances of extreme weather events such as floods, droughts or heat waves occurring. Climate-related disasters worldwide have more than tripled since 1980. The US experienced 32 weather events between 2011 and 2013 that each caused at least $1 billion in damage. The planet’s oceans are also seeing big changes – they’re becoming warmer and more acidic, glaciers and ice sheets are melting and sea levels are rising. The Intergovernmental Panel on Climate Change (IPCC) projects a sea-level rise of 52-98cm by the end of this century if greenhouse gas emissions continue to grow, or of 28-61cm if they’re significantly reduced. Arctic sea ice is not only shrinking, but the oldest ice is melting, which makes it even more vulnerable to melting in future. But the real climate wildcard is Antarctica’s ice sheet. The IPCC estimated it could contribute about 20cm of sea-level rise this century, but also warned of the possibility it could be several tens of centimetres more if the ice sheet became rapidly destabilized. Trees absorb carbon dioxide as they grow, acting as a “carbon sink”. Cutting them down means more greenhouse gases entering the atmosphere, which speeds up the pace and severity of climate change. Forests still cover about 30% of land, but some 50,000 square miles of forest are lost each year. That’s equivalent to 48 football fields every minute. In the Amazon, for example, around 17% of forest has been lost in the last 50 years. In the past 30 years, the world has lost 50% of corals and it is estimated that only 10% will survive beyond 2050. Climate change and rising ocean temperatures are the greatest threat, and are behind the mass bleaching along Australia’s Great Barrier Reef for the second year in a row. Bleaching occurs when extreme heat, pollution or low tides cause coral to expel algae living in their tissues, turning them white. Coral can recover from bleaching events, but they are under more stress and if the algae loss continues they eventually die. People are already suffering the consequences of climate change. Around 22.5 million people were displaced by climate or weather-related disasters between 2008 and 2015, according to the UN Refugee Agency (UNHCR). Climate change is also a factor in conflicts driving people from their homes. The UNHCR says that natural resources such as drinking water are likely to become more scarce and food security will become an even bigger concern in future because some crops and livestock won’t survive in parts of the world if conditions become too hot and dry, or cold and wet. Climate change is also threatening wildlife: using satellite data from NASA, scientists estimate a possible 30% drop in the global population of polar bears over the next 35 years. That’s because sea ice is their main habitat, and it is shrinking. Posted by OromianEconomist in Economics. Good jobs. Wellbeing. Environment. Fairness. Health. It is, of course, entirely possible for an economy to go faster and faster without getting closer to meeting these goals – indeed, while heading in the opposite direction. GDP is like a speedometer: it tells you whether your economy is going faster or slower. As in cars, a speedometer is useful but doesn’t tell you everything you want to know. For example, it won’t tell you whether you are overheating, or about to run out of fuel. Above all, the speedometer doesn’t tell you whether or not you’re going in the right direction. If you suggest to a car driver that you might be on the wrong road, and the response is “then we must go faster”, you might think that’s pretty stupid. Yet this is what happens whenever complaints about the state of the economy elicit a commitment to boost growth. So what is the right direction for a modern economy? That’s a relatively easy question to answer: when you ask people, they say much the same things. A good economy meets everyone’s basic needs. It means people are healthy and happy with life. It avoids storing up potential sources of long-term trouble, such as extreme inequality and environmental collapse. Now the trickier part. What would be the economic equivalent of a compass? We need to measure the direction of economic travel in a way that’s comparable to how GDP measures its speed – easy to communicate, and amenable to being influenced by policy decisions. The New Economics Foundation (NEF), where I was the Executive Director until December 2015, proposed five indicators in an October 2015 report. Imagine them arrayed like dials on a dashboard that you can glance at for an overall picture, as well as study in more detail if you want. Why five? It’s hard to capture everything that matters in one metric, and psychological research demonstrates that people struggle to hold more than five things in their heads at once. 1. Good jobs. Employment statistics tell us what proportion of people have jobs. They don’t tell us what proportion of those with jobs are paid too little to afford a decent standard of living, or worry about whether they’ll still have work next month. According to UK government figures, 94% of people were in work in 2014 – up nearly two percentage points in four years. However, the NEF calculated that only 61% were in secure jobs paying a living wage – down a similar amount in the same period. 2. Wellbeing. A growing economy is not an end in itself – it’s a means to improving people’s lives. Few would disagree that the ultimate aim of public policy is wellbeing; we care about GDP because we assume it means more wellbeing. So why not also measure wellbeing directly? The validity of research into measuring wellbeing, by asking people about their life satisfaction, is now widely accepted. Such measures capture a range of things that people care about and that policies can influence – from income and health to housing and social connections. Some governments do measure life satisfaction, including the UK (it increased from 7.4 to 7.6, on a scale of 0-10, in the four years to 2014). However, it remains at the margins of policymaking. 3. Environment. 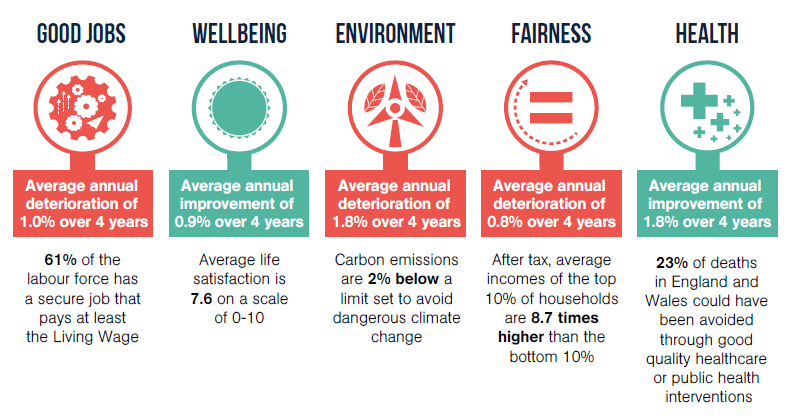 The NEF propose a national indicator of lifestyle-related carbon emissions, relative to an allocation calculated from global targets for avoiding dangerous levels of climate change. In four years, the UK’s position deteriorated from using 91% of its allocation to 98%. As climate is a global problem, this indicator is effectively a measure of responsible global citizenship. 4) Fairness. Research increasingly shows that high income inequality has negative social consequences, while casting doubt on the idea that it incentivises hard work. Comparing the average incomes of the top and bottom 10%, inequality in the UK has been worsening by an average of 0.8% a year for the last four years. 5) Health. The NEF proposes “avoidable deaths” as a simple, easily-understandable measure that captures the quality of health interventions – not only treatment, but also prevention. Here, the UK shows a positive trend, but with plenty of room for further improvement – the latest figures suggest 23% of deaths need not have happened. The NEF designed these measures with the United Kingdom in mind, working with the UK’s Office of National Statistics. But they are, in principle, just as meaningful for other countries. The shortcomings of GDP, as a measure of what we want from an economy, are not a new discovery. The NEF and others have been making the case for years. But while various proposals for alternatives have engaged the interest of policymakers and technocrats, they have not yet taken hold among politicians. That’s understandable: any politician who suggests new ways to judge their performance is also creating new ways to fail, and many policies that will pay long-term dividends on these indicators will also impose short-term costs. More broadly, there remains a reluctance to move away from viewing economics as a hard, mathematical science, and accept the need to incorporate more of a social science mindset. In effect, we need another value shift in economics, comparable to those that shaped the last century – Kenyesianism and neoliberalism. However, while the problems with the current economic system are increasingly widely appreciated, we still lack a compelling, coherent, simple alternative narrative. I hope these indicators can help that narrative to develop. Posted by OromianEconomist in Internet Freedom. WEF: How bad is internet censorship in your country? Internet and mobile phone networks were repeatedly disrupted around the country, particularly in the Oromia region during antigovernment protests that began in November 2015 (see Restrictions on Connectivity). Social media and communications platforms were temporarily blocked several times to restrict information about antigovernment protests and police brutality (see Blocking and Filtering). News websites were newly blocked for reporting on the Oromo protests and a severe drought, adding to a growing blacklist (see Blocking and Filtering). In May 2016, blogger Zelalem Workagenehu was sentenced to over five years in prison for leading a digital security course (see Prosecutions and Arrests for Online Activities). Prosecutors challenged the release of members of the Zone 9 blogging collective, after they were acquitted of terrorism charges in 2015 (see Prosecutions and Arrests for Online Activities). Internet freedom declined in the past year as the government cracked down on antigovernment protests and the digital tools citizens used to organize them. Starting in the Oromo region in November 2015 as a protest against the authoritarian government’s plan to infringe on land belonging to the marginalized Oromia people, the movement spread across the country in the subsequent months, turning into unprecedented demonstrations seeking regime change and democratic reform. In a heavy-handed response, the authorities frequently shutdown local and national internet and mobile phone networks to prevent citizens from communicating about the protests. Social media platforms and communications apps such as Facebook, Twitter, Skype, and IMO were also temporarily blocked at different times. In October 2016, the government imposed a six-month state of emergency on October 17, resulting in another internet shutdown lasting several days. Under the state of emergency, accessing or posting content related to the protests on social media and efforts to communicate with “outside forces” are criminal offenses. News websites and blogs reporting on the protests were permanently blocked in 2015 and 2016. Separately, critical news about the current drought—the worst the country has experienced in 50 years—was systematically censored. Meanwhile, the authorities arrested and prosecuted several bloggers, sentencing blogger Zelalem Workagenehu to five years in prison in May 2016. He was convicted of conspiring to overthrow the government for facilitating a course on digital security. The government’s persecution of the Zone 9 bloggers continued. Though four of the bloggers were acquitted in October 2015, the prosecutor appealed their release to the Supreme Court, and they were repeatedly summoned throughout the year. The legal environment for internet freedom became more restrictive under the Computer Crime Proclamation enacted in June 2016, which criminalizes defamation and incitement. The proclamation also strengthens the government’s surveillance capabilities by enabling real-time monitoring or interception of communications. Internet and mobile phone networks were deliberately disrupted in many parts of the country throughout the year, particularly in the Oromia region during largescale antigovernment protests that erupted in November 2015. Meanwhile, poor infrastructure, obstructionist telecom policies, and a government monopoly on the ICT sector make ICT services prohibitively expensive for the majority of the population. Ethiopia is one of the least connected countries in the world with an internet penetration rate of only 12 percent, according to 2015 data from the International Telecommunications Union (ITU).1 Mobile phone penetration is also poor at 43 percent, up from just 32 percent in 2014.2 Low penetration rates stem from underdeveloped telecommunications infrastructure, which is almost entirely absent from rural areas, where about 85 percent of the population resides. A handful of signal stations service the entire country, resulting in network congestion and frequent disconnection.3 In a typical small town, individuals often hike to the top of the nearest hill to find a mobile phone signal. Access to ICT services remains prohibitively expensive for most Ethiopians, largely due to the government’s monopoly over the telecom sector, which provides consumers with few options. Prices are set by state-controlled EthioTelecom and kept artificially high.4 Price cuts announced in February 2016 mitigated some of the financial strain,5 bringing mobile internet prices to ETB 5 (US$ 0.25) per day for 25 MB of data or ETB 3,000 (US$ 140) per month for 30 GB. Nonetheless, the lower cost 25 MB package is extremely limited considering a standard Google search uses up to 79 KB alone. Regularly loading websites containing 1 GB of multimedia content could cost US$ 9 a day. William Davison, Bloomberg’s Ethiopia correspondent, described the issue on Facebook in March 2016: “It cost me 44 birr ($2.05) to watch Al Jazeera’s latest 3-minute dispatch on Oromo protests using 4G network on my phone, which is not that much less than the average daily wage of a daily laborer in Ethiopia.”6 Ethiopians can spend an average of US$85 per month for limited mobile or fixed wireless internet access. Better quality services in neighboring Kenya and Uganda cost less than US$30 a month. Telecommunication devices, connection fees and other related costs are also beyond the means of many Ethiopians. As a result, Ethiopia has among the lowest smartphone ownership rates in the world at only 4 percent according to a recent Pew survey.7 In April 2016, EthioTelecom proposed a new pricing scheme to charge more for the use of popular Voice-over-IP (VoIP) platforms such as Viber and Facebook Messenger on mobile devices.8 This would make smartphone usage even more expensive. Consequently, the majority of internet users still rely on cybercafés for internet access. A typical internet user in Addis Ababa pays between ETB 5 and 7 (US$ 0.25 to 0.35) for an hour of access. Because of the scarcity of internet cafes outside urban areas, however, rates in rural cybercafés are higher. In addition, digital literacy rates are generally low. The Ethiopian government’s monopolistic control over the country’s telecommunications infrastructure via EthioTelecom enables it to restrict information flows and access to internet and mobile phone services. In 2015–16, the flow of online traffic into, within, and out of Ethiopia registered a significant decline, likely as a result of network throttling, repeated internet shutdowns, and increased blocking. As a landlocked country, Ethiopia has no direct access to submarine cable landing stations; thus, it connects to the international internet via satellite, a fiber-optic cable that passes through Sudan and connects to its international gateway, and the SEACOM cable that connects through Djibouti to an international undersea cable. All connections to the international internet are completely centralized via EthioTelecom, enabling the government to cut off the internet at will. China is a key investor in Ethiopia’s telecommunications industry,21 with Zhongxing Telecommunication Corporation (ZTE) and Huawei currently serving as contractors to upgrade broadband networks to 4G in Addis Ababa and expand 3G networks elsewhere.22 The partnership has enabled Ethiopia’s authoritarian leaders to maintain their hold over the telecom sector,23though the networks built by the Chinese firms have been criticized for their high cost and poor service.24 Furthermore, the contracts have led to increasing fears that the Chinese may also be assisting the authorities in developing more robust ICT censorship and surveillance capacities (see Surveillance, Privacy, and Anonymity).25 In December 2014, the Swedish telecom group Ericsson also partnered with the government to improve and repair the mobile network infrastructure,26 though ZTE remains the sector’s largest investor. Local software companies also suffer from heavy-handed government regulations, which do not have fair, open, or transparent ways of evaluating and awarding bids for new software projects.29 Government companies are given priority for every kind of project, while smaller entrepreneurial software companies are completely overlooked, leaving few opportunities for local technology companies to thrive. Since the emergence of the internet in Ethiopia, the Ethiopian Telecommunications Agency (ETA) has been the primary regulatory body overseeing the telecommunications sector. In practice, government executives have complete control over ICT policy and sector regulation.32 The Information Network Security Agency (INSA), a government agency established in 2011 and controlled by individuals with strong ties to the ruling regime,33 also has significant power in regulating the internet under the mandate of protecting the communications infrastructure and preventing cybercrime. News websites known for their reporting on the Oromo protests joined Ethiopia’s growing list of blocked content, while social media and communications platforms were blocked for periods of time throughout the coverage period for their role in disseminating information about the demonstrations and police brutality. The government manipulates online content, disseminating propaganda to convince Ethiopians that social media is a dangerous tool co-opted by opposition groups to spread hate and violence. In an apparent attempt to restrict news about the protests from spreading, social media and file-sharing platforms such as Facebook, Twitter, WhatsApp, and Dropbox were repeatedly blocked for periods of time throughout the protests.36 The blocks on social media first impacted networks in the Oromia region but later spread to other regions,37 and eventually manifested in a shutdown of entire internet and mobile networks for days a time (see Restrictions on Connectivity). 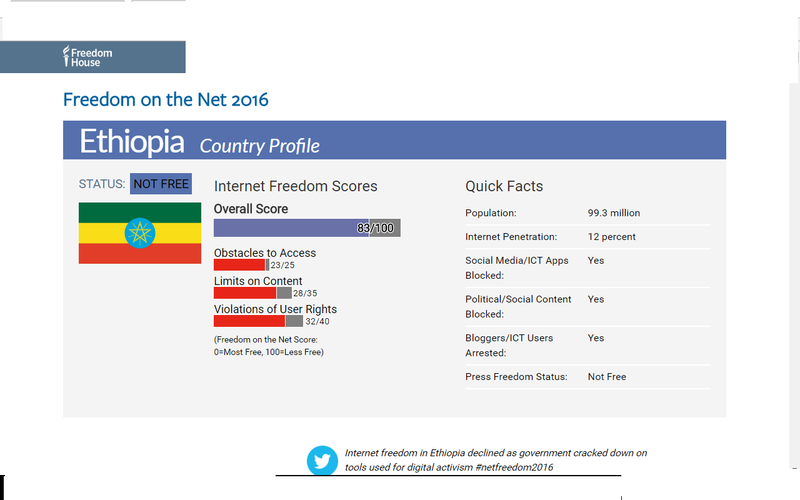 Digital security tools are also pervasively blocked in Ethiopia, including Tor, the circumvention tool that enables users to browse anonymously, which been blocked since May 2012.48 As social media platforms were blocked in the past year, diaspora-based activists publicized virtual private networks (VPNs) to circumvent the censorship, but certain VPNs were also subsequently blocked.49 Local sources suspected progovernment commenters were flagging the same tools to be blocked by the authorities. The Amharic translation of the Electronic Frontier Foundations’ “Surveillance Self-Defense” web guide was blocked two weeks after it was published in October 2015.50 One source reported that key terms such as “proxy” yield no search results on unencrypted search engines,51 reflecting the government’s efforts to limit users’ access to circumvention tools and strategies. Some restrictions are also placed on content transmitted via mobile phones. Text messages to more than ten recipients require prior approval from EthioTelecom.52 A bulk text message sent without prior approval is automatically blocked, irrespective of the content. There are no procedures for determining which websites are blocked or why, precluding any avenues for appeal. There are no published lists of blocked websites or publicly available criteria for how such decisions are made, and users are met with an error message when trying to access blocked content. The decision-making process does not appear to be controlled by a single entity, as various government bodies—including the Information Network Security Agency (INSA), EthioTelecom, and the ICT ministry—seem to be implementing their own lists, contributing to a phenomenon of inconsistent blocking. This lack of transparency is exacerbated by the government’s continued denial of its censorship efforts. Government officials flatly deny the blocking of websites or jamming of international satellite operations while also stating that the government has a legal and a moral responsibility to protect the Ethiopian public from extremist content. Lack of adequate funding is a significant challenge for independent online media in Ethiopia, as fear of government pressure dissuades local businesses from advertising with politically critical websites. A 2012 Advertising Proclamation also prohibits advertisements from firms “whose capital is shared by foreign nationals.”55 The process for launching a website on the local .et domain is expensive and demanding,56 requiring a business license from the Ministry of Trade and Industry and a permit from an authorized body.57 While the domestic Ethiopian blogosphere has been expanding, most blogs are hosted on international platforms or published by members of the diaspora community. Despite Ethiopia’s extremely low levels of internet access, the government employs an army of trolls to distort Ethiopia’s online information landscape.58 Opposition groups, journalists, and dissidents use the contemptuous Amharic colloquial term, “Kokas,” to describe the progovernment commentators.59 Observers say the Kokas regularly discuss Ethiopia’s economic growth in favorable terms and post uncomplimentary comments about Ethiopian journalists and opposition groups on Facebook and Twitter. In return, they are known to receive benefits such as money, land, and employment promotions. Meanwhile, increasing repression against journalists and bloggers has had a major chilling effect on expression online, particularly in response to the spate of blogger arrests that have increased in the past few years (see Prosecutions and Detentions for Online Activities). Many bloggers publish anonymously to avoid reprisals.62 Fear of pervasive surveillance has also led to widespread self-censorship. Local newspapers and web outlets primarily publish reporting by regime critics and opposition organizations in the diaspora. Few independent local journalists will write for either domestic or overseas online outlets due to the threat of repercussions. Despite oppressive conditions caused by poor access and the hostile legal environment, online activism has gained considerable momentum and influence in the past year, particularly as traditional media coverage of current events has become increasingly narrow and dominated by pro-government voices. Notably, social media and communications platforms helped tech-savvy Ethiopians launch the widespread antigovernment protests in the Oromia region in November 2015. Online tools have been essential to the #OromoProtests movement, enabling activists to post information about the demonstrations and disseminate news about police brutality as the government cracked down on protesters.63 The use of such tools to fuel the protest movement led the government to block access to several platforms throughout the year, and shut down internet and mobile networks altogether (see Blocking and Filtering and Restrictions on Connectivity). The new Computer Crime Proclamation enacted in June 2016 criminalizes defamation and incitement; observers say it could be invoked to suppress digital mobilization. The proclamation also strengthens the government’s surveillance capabilities by enabling real-time monitoring or interception of communications. Several bloggers were arrested and prosecuted, with one blogger sentenced to five years in prison, while prosecutors challenged the acquittal of the Zone 9 bloggers. Meanwhile, several laws are designed to restrict and penalize legitimate online activities and speech. Most alarmingly, the 2012 Telecom Fraud Offences Law extends the violations and penalties defined in the 2009 Anti-Terrorism Proclamation and criminal code to electronic communications, which explicitly include both mobile phone and internet services.68 The antiterrorism legislation prescribes prison sentences of up to 20 years for the publication of statements that can be understood as a direct or indirect encouragement of terrorism, which is vaguely defined.69 The law also bans Voice over Internet Protocol (VoIP) services such as Skype70 and requires all individuals to register their telecommunications equipment—including smartphones—with the government, which security officials typically enforce at security checkpoints by confiscating ICT equipment if the owner cannot produce a registration permit, according to sources in the country. There are strong indications that the government has deployed a centralized monitoring system developed by the Chinese telecommunications firm ZTE to monitor mobile phone networks and the internet, according to a 2015 Human Rights Watch report.97 Known for its use by repressive regimes in Libya and Iran, the monitoring system enables deep packet inspection (DPI) of internet traffic across the EthioTelecom network and has the ability to intercept emails and web chats. Given the high degree of online repression in Ethiopia, political commentators use proxy servers and anonymizing tools to hide their identities when publishing online and to circumvent filtering, though the tools are also subject to blocking (see Blocking and Filtering). Amidst escalating antigovernment protests in 2015 and 2016, the authorities reportedly harassed, detained, and abused several people who used their mobile phones to record footage of demonstrations. 8 Eskedar Kifle, “Ethio telecom may charge for VoIP apps,” Capital Ethiopia, April 6, 2016, http://mereja.com/news/1149276. 9 Test conducted by Freedom House researcher in March 2016. While the speed test should not be interpreted as a standard speed for the entire EthioTelecom network speeds, the data we gathered from a repeated speed tests over a span of a week from March 16 to March 21, 2016 suggest that Ethiopia’s average speed lags behind the average speed of the region. Nearly same figures were reported by speed-test services such as http://testmy.net and http://www.dospeedtest.com. 11 According to tests by Freedom House consultant in 2016. 12 Akamai, “State of the Internet, Q1 2016 Report,” https://goo.gl/TQH7L7. 19 Al Shiferaw, “Connecting Telecentres: An Ethiopian Perspective,” Telecentre Magazine, September 2008, http://bit.ly/1ji348h. 21 Paul Chapman, “New report explores the Ethiopian – telecoms, mobile and broadband – market insights, statistics and forecasts,” WhatTech, May 1, 2015, http://bit.ly/1L46Awu. 22 “Out of reach,” The Economist, August 24, 2013, http://econ.st/1l1UvJO. 23 “Out of reach,” The Economist. 24 Matthew Dalton, “Telecom Deal by China’s ZTE, Huawei in Ethiopia Faces Criticism,” The Wall Street Journal, January 6, 2014, http://on.wsj.com/1LtSCkD. 25 Based on allegations that the Chinese authorities have provided the Ethiopian government with technology that can be used for political repression—such as surveillance cameras and satellite jamming equipment—in the past. See: Addis Neger, “Ethiopia: China Involved in ESAT Jamming,” ECADAF Ethiopian news & Opinion, June 23, 2010, http://bit.ly/1LtSYI9; Gary Sands, “Ethiopia’s Broadband Network – A Chinese Trojan Horse?” Foreign Policy Blogs, Foreign Policy Association, September 6, 2013, http://bit.ly/1FWG8X1. 26 ENA, “Ericsson to take part in telecom expansion in Ethiopia,” Dire Tube, December 18, 2014, http://bit.ly/1PkZfvA. 27 The Embassy of the United Stated, “Doing Business in Ethiopia,” http://1.usa.gov/1LtTExh. 28 World Intellectual Property Organization, “Ethiopia Custom Regulation: No 622/2009,” http://bit.ly/1NveoeB. 29 Mignote Kassa, “Why Ethiopia’s Software Industry Falters,” Addis Fortune 14, no. 700 (September 29, 2013), http://bit.ly/1VJiIWC. 30 “Proclamation No. 281/2002, Telecommunications (Amendment Proclamation,” Federal Negarit Gazeta No. 28, July 2, 2002, http://bit.ly/1snLgsc. 31 Ethiopian Telecommunication Agency, “License Directive for Resale and Telecenter in Telecommunication Services No. 1/2002,” November 8, 2002, accessed October 20, 2014, http://bit.ly/1pUtpWh. 32 Dr. Lishan Adam, “Understanding what is happening in ICT in Ethiopia,” (policy paper, Research ICT Africa, 2012) http://bit.ly/1LDPyJ5. 33 Halefom Abraha, “THE STATE OF CYBERCRIME GOVERNANCE IN ETHIOPIA,” (paper) http://bit.ly/1huzP0S. 34 Rebecca Wanjiku, “Study: Ethiopia only sub-Saharan Africa nation to filter net,” IDG News Service, October 8, 2009, http://bit.ly/1Lbi3s9. 39 According to activists who were able to circumvent the blocks and observe the social media activities of progoverment users. 42 Test conducted by an anonymous researcher contracted by Freedom House, March 2015. During the test, some websites opened at the first attempt but were inaccessible when refreshed. 44 Mohammed Ademo, Twitter post, July 25, 2012, 1:08 p.m., https://twitter.com/OPride/status/228159700489879552. 45 Mohammed Ademo, “Media Restrictions Tighten in Ethiopia,” Columbia Journalism Review, August 13, 2012, http://bit.ly/1Lm2npk. 46 Ory Okolloh Mwangi, Twitter post, November 6, 2013, 9:20 a.m., https://twitter.com/kenyanpundit/status/398077421926514688. http://tor.stackexchange.com/questions/10148/tor-and-orbot-not-working-in-ethiopia; “Ethiopia Introduces Deep Packet Inspection,” Tor (blog), May 31, 2012, http://bit.ly/1A0YRdc; Warwick Ashford, “Ethiopian government blocks Tor network online anonymity,” Computer Weekly, June 28, 2012, http://bit.ly/1LDQ5L2. 51 A 2014 report from Human Rights Watch also noted that the term “aljazeera” was unsearchable on Google while the news site was blocked from August 2012 to mid-March 2013. According to HRW research, the keywords “OLF” and “ONLF” (acronyms of Ethiopian opposition groups) are not searchable on the unencrypted version of Google (http://) and other popular search engines. Human Rights Watch, “They Know Everything We Do,” March 25, 2014, 56, 58,http://bit.ly/1Nviu6r. 52 Interview with individuals working in the telecom sector, as well as a test conducted by a Freedom House consultant who found it was not possible for an ordinary user to send out a bulk text message. 53 Reporters prevented from reporting on the trial of Zone9 Bloggers. See, Trial Tracker Blog, http://trialtrackerblog.org/home/ . 55 Exemptions are made for foreign nationals of Ethiopian origin. See, Abrham Yohannes, “Advertisement Proclamation No. 759/2012,” Ethiopian Legal Brief (blog), September 27, 2012, http://bit.ly/1LDQf5c. 56 “Proclamation No. 686/2010 Commercial Registration and Business Licensing,” Federal Negarit Gazeta, July 24, 2010, http://bit.ly/1P3PoLy; World Bank Group, Doing Business 2015: Going Beyond Efficiency, Economy Profile 2015, Ethiopia, 2014, http://bit.ly/1L49tO6. 58 “Ethiopia Trains Bloggers to attack its opposition,” ECADF Ethiopian News & Opinions, June 7, 2014, http://bit.ly/1QemZjl. 59 The term “Koka” is a blend of two words: Kotatam and cadre. Kotatam is a contemptuous Amharic word used to imply that someone is a sellout who does not have a respect for himself or herself. 62 Markos Lemma, “Disconnected Ethiopian Netizens,” Digital Development Debates (blog),November 2012, http://bit.ly/1Ml9Nu3. 64 Constitution of the Federal Democratic Republic of Ethiopia (1995), art. 26 and 29, accessed, August 24, 2010, http://www.ethiopar.net/constitution. 65 Freedom of the Mass Media and Access to Information Proclamation No. 590/2008, Federal Negarit Gazeta No. 64, December 4, 2008. 66 Article 19, The Legal Framework for Freedom of Expression in Ethiopia, accessed September 10, 2014, http://bit.ly/1Pl0f33. 67 Criminal Code, art. 613, http://bit.ly/1OpHE6F. 68 Article 19, “Ethiopia: Proclamation on Telecom Fraud Offences,”legal analysis, August 6, 2012, http://bit.ly/1Lbonjm. 69 “Anti-Terrorism Proclamation No. 652/2009,” Federal Negarit Gazeta No. 57, August 28, 2009. 70 The government first instituted the ban on VoIP in 2002 after it gained popularity as a less expensive means of communication and began draining revenue from the traditional telephone business belonging to the state-owned EthioTelecom. In response to widespread criticisms, the government claimed that VoIP applications such as Skype would not be considered under the new law, though the proclamation’s language still enables the authorities to interpret it broadly at whim. 74 Article 13, “Crimes against Liberty and Reputation of Persons,” Computer Crime Proclamation. 78 “Six members of Zone Nine, group of bloggers and activists are arrested,” [in Amharic] Zone9 (blog), April 25, 2014, http://bit.ly/1VJn6ow. 79“Federal High Court Lideta Criminal Bench court, Addis Ababa,” http://1drv.ms/1OqAjlC. 80 Endalk Chala, “What You Need to Know About Ethiopia v. Zone9 Bloggers: Verdict Expected July 20,” Global Voices (blog), July 17, 2015, http://bit.ly/1jTDO9b. 81 Ellery Roberts Biddle, Endalk Chala, Guardian Africa network, “One year on, jailed Ethiopian bloggers are still awaiting trial,” The Guardian, April 24, 2015, http://gu.com/p/47ktv/stw; “Nine Journalists and Bloggers Still Held Arbitrarily,” Reporters Without Borders, “Nine Journalists and Bloggers Still Held Arbitrarily,” August 21, 2014, http://bit.ly/1P3TW4I. 82 Committee to Protect Journalists, “In Ethiopia, Zone 9 bloggers acquitted of terrorism charges,” news statement, October 16, 2015, https://www.cpj.org/2015/10/in-ethiopia-zone-9-bloggers-acquitted-of-terrorism.php. 95 Such trumped-up charges were based on an online column Nega had published criticizing the government’s use of the Anti-Terrorism Proclamation to silence political dissent and calling for greater political freedom in Ethiopia. Nega is also the 2011 recipient of the PEN/Barbara Goldsmith Freedom to Write Award.“That Bravest and Most Admirable of Writers: PEN Salutes Eskinder Nega,” PEN American Center (blog), April 13, 2012, http://bit.ly/1Lm89Y7; See also, Markos Lemma, “Ethiopia: Online Reactions to Prison Sentence for Dissident Blogger,” Global Voices, July 15, 2012, http://bit.ly/1OpKaKf; Endalk Chala, “Ethiopia: Freedom of Expression in Jeopardy,” Global Voices Advocacy, February 3, 2012, http://bit.ly/1jfIEO3. 97 Human Rights Watch, “They Know Everything We Do,” 62. 98 Human Rights Watch, “They Know Everything We Do,” 67. 100 Committee to Protect Journalists, “Ethiopian Blogger, Journalists Convicted of Terrorism,” January 19, 2012, http://cpj.org/x/47b9. 101 Bill Marczak et al., Hacking Team Reloaded? US-Based Ethiopian Journalists Again Targeted with Spyware, Citizen Lab, March 9, 2015, http://bit.ly/1Ryogmr. 102 Hacking Team,“Customer Policy,” accessed February 13, 2014, http://hackingteam.it/index.php/customer-policy. 103 Declan McCullagh, “Meet the ‘Corporate Enemies of the Internet’ for 2013,” CNET, March 11, 2013, accessed February 13, 2014, http://cnet.co/1fo6jJZ. 104 Marczak et al., Hacking Team Reloaded? US-Based Ethiopian Journalists Again Targeted with Spyware. 105 Fahmida Y. Rashid, “FinFisher ‘Lawful Interception’ Spyware Found in Ten Countries, Including the U.S.,” Security Week, August 8, 2012, http://bit.ly/1WRPuap. 107 Groum Abate, “Internet Cafes Start Registering Users,” The Capital republished Nazret (blog), December 27, 2006, http://bit.ly/1Lm98aX. 108 Human Rights Watch, “They Know Everything We Do,” 67. 109 SIMEGNISH (LILY) MENGESHA, “CRAWLING TO DEATH OF EXPRESSION – RESTRICTED ONLINE MEDIA IN ETHIOPIA,” Center for International Media Assistance (blog), April 8, 2015, http://bit.ly/1IbxFie. 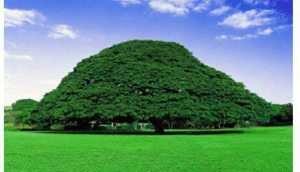 110 “ክንፉ አሰፋ በስለላ ከሆላንድ የተባረረው የጋዜጠኛውን አንገት እቆርጣለሁ አለ,” ECADAF Ethiopian News & Opinion, April 12, 2015, http://ecadforum.com/Amharic/archives/14790/. 113 Marczak et al., Hacking Team Reloaded? US-Based Ethiopian Journalists Again Targeted with Spyware. 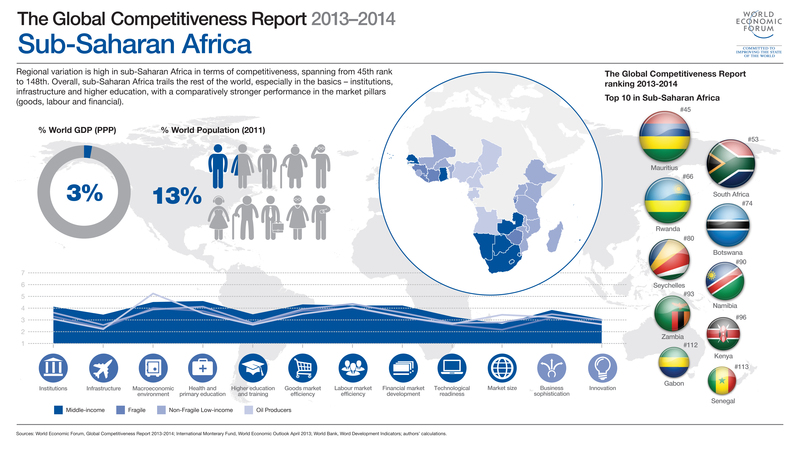 What are the 10 most competitive economies in sub-Saharan Africa? Despite growth averaging more than 5% a year since the turn of the century, sub-Saharan Africa’s economies remain largely noncompetitive: only three of the region’s countries – Mauritius (46th), South Africa (49th) and Rwanda (58th) three – rank in the top half of the 2015-2016 edition of the Global Competitiveness Index, and they occupy 15 of the bottom 20 places. In general, the region has made progress in efficiency-enhancing market reform, especially in goods market, but has much more to do to improve its institutions, infrastructure, and health and education sectors, all areas in which reforms will take time to reap benefits. With a coming youth bulge – by 2035, more people will be reaching working age in sub-Saharan Africa than in the rest of the world put together – the need to improve education systems is especially urgent. The recent fall in commodity prices, putting more pressure on many countries in the region, has also accentuated the need to prioritize competitiveness-enhancing reforms. Mauritius. Although still the top-ranked country in sub-Saharan Africa, Mauritius dropped seven places to 46th (out of 140) in the overall rankings this year – the first fall down the Index after a decade of improvements. This is accounted for important drops in three of the 12 pillars (overall six pillars are losing places) on which the Index is based, labour market efficiency, financial market development and market size. Still, some fundamentals remain strong: Mauritius has the region’s most efficient goods market, best infrastructure and most healthy and educated workforce. To move further up the development ladder it particularly needs to improve the quality of higher education, the rate at which it adopts new technologies and its capacity to nurture innovation. South Africa. Moving in the opposite direction to Mauritius, South Africa climbs seven places to 49th. It has improved year-on-year in its uptake of ICTs and established itself as the region’s most innovative economy. South Africa also tops the region for the efficiency of its financial markets, a pillar on which it ranks 12thglobally. It performs reasonably strongly on the pillars of infrastructure and institutions, although corruption and security remain concerns, but needs to make progress on health and education. Rwanda. Advancing four places for the second year in a row, Rwanda’s overall position of 58th reflects improvements in the financial development pillar – especially regulation of securities exchanges – and business sophistication. It scores 8thglobally for labour market efficiency, thanks in part to the third-highest female labour participation rate in the world, and 17th globally for the strength of its public and private institutions. However, improvements are needed in some fundamental areas of competitiveness including infrastructure, health and higher education. Botswana. Up three places to 71st, Botswana posts a top-10 score globally for the stability of its macroeconomic environment. It also boasts relatively strong rankings on institutions and labour market efficiency. Despite some improvements in the last year, however, the health and primary education pillar remains its weakest, with the impact of HIV/AIDS and tuberculosis contributing to the second-lowest life expectancy among the 140 economies surveyed. Namibia. Advancing for the third year in a row, Namibia gains three places to rank 85th in the global Index. It registered year-on-year improvements in nine of the 12 pillars, most notably business sophistication and innovation – albeit from a low base. It improved its score on its strongest pillar, institutions, but slipped back on its weakest, health and primary education; as in Botswana, tuberculosis and HIV/AIDS remain among the biggest concerns. Cote d’Ivoire. Leaping 24 places in the last year alone to reach 91st in the overall Index, Cote d’Ivoire has now progressed 40 places in the last three years. It has improved year-on-year on every pillar except for the macroeconomic environment, posting its biggest gains in areas such as innovation, financial market development and institutions – all pillars on which it scores in the top half globally. Despite progress also in health and primary education and higher education and training, they remain its weakest area. Zambia. Although occupying the same position in the Index as last year, 96th, Zambia has noticeably progressed on some pillars while regressing on others. It has improved its score on macroeconomic stability, for example, with progress on the government budget balance – albeit from a low base – and public debt. However, it drops heavily on the pillars of business sophistication, goods market efficiency and financial market development. Seychelles. Despite being considerably wealthier than the seven countries in the region that rank as more competitive, the Seychelles loses ground for the third year in a row, dropping five places to 97th overall. The country’s competitiveness is held back by a small market size, scoring bottom globally on this pillar. However, it still ranks in the top half globally on seven of the 12 pillars, with its strongest performances coming on infrastructure (2nd best in the region) and labour market efficiency. It also does well on technological readiness (71st, although low performing second in regional comparison). Kenya. After two years of forward movement in the Index, Kenya slips nine places to 99th with regressions on three pillars in particular: goods market efficiency, financial market development and institutions. Corruption remains the top concern about doing business in the country, according to executives who took part in a survey which forms part of the Index calculations. Despite the decline, financial market development remains one of Kenya’s three strongest pillars, along with innovation and labour market efficiency; its weakest are the macroeconomic environment and, despite a small improvement in the last year, health and primary education. Gabon. Improving slightly to 103rd overall, Gabon’s main strength is its macroeconomic environment, which is rated among the world’s top 20 thanks to a positive budget balance and low levels of government debt, reflective of its resource-driven economy. However, this is the only pillar on which Gabon ranks in the top half globally, and it ranks among the world’s bottom 20 on four pillars: goods market efficiency, higher education and training, business sophistication and innovation. To diversify its economy, it needs to invest in productivity-enhancing reforms across the board. The Global Competitiveness Report 2015-2016 is available here. Posted by OromianEconomist in Africa, Developed country, Development & Change, Economics, Ethiopia the least competitive in the Global Competitiveness Index. Ethiopia ranks at 115 out of 124 countries in the ‘Human Capital Index’ because of its poor performance on educational outcomes, says the Human Capital Report 2015 issued by the World Economic Forum (WEF). The index is dominated by European countries with two countries from the Asia and Pacific region and one from the North America region also making it into the top 10. Finland topped the ranking of the Human Capital Index in 2015, scoring 86% of its human capital, followed by Norway, Switzerland, Canada and Japan. Sweden, Denmark, the Netherlands, New Zealand and Belgium also seized the places in the top 10 list. Ethiopia scored 50.25 out of 100. The leaders of the index are high-income economies that have placed importance on high educational attainment and a correspondingly large share of high-skilled employment. The World Economic Forum (WEF) released the Human Capital Report 2015 in Geneva, Switzerland on Thursday 14 May 2015. The WEF prepared the report in collaboration with Mercer, an American global human resource and related financial services consulting firm. The report elaborates the status of different countries across the world on the Human Capital Index and provides key inputs for policy makers to augment capacities of human capital in 124 countries it has surveyed. In the index, WEF highlighted Ethiopia’s scarcity of skilled employees, poor ability to nurture talent through educating, training and employing its people. “Talent, not capital, will be the key factor linking innovation, competitiveness and growth in the 21st century,” said WEF Executive Chairman Klaus Schwab releasing the report at a news conference in Cologny, near Geneva, Switzerland. In sub-Saharan Africa, Mauritius (72) holds the highest position in the region. While another six countries rank between 80 and 100, another 17 countries from Africa rank below 100 in the index. South Africa is in 92nd place and Kenya at 101. The region’s most populous country, Nigeria (120) is among the bottom three in the region, while the second most populous country, Ethiopia, is in 115th place. With the exception of the top-ranked country, the region is characterized by chronically low investment in education and learning. Except Yemen (40.7) all the 10 poorest performers are African Countries: Ethiopia (50.25), Burkina Faso (49.22), Ivory Coast ( 49.02), Mali (48.51), Guinea (48.25), Nigeria (48.43), Burundi (46.76), Mauritania (42.29) and Chad (41.1). The countries are ranked on the basis of 46 indicators that track “how well countries are developing and deploying their human capital focusing on education, skills and employment”. The index takes a life-course approach to human capital, evaluating the levels of education, skills and employment available to people in five distinct age groups, starting from under 15 years to over 65 years. The aim is to assess the outcome of past and present investments in human capital and offer insight into what a country’s talent base will look like in the future. Posted by OromianEconomist in Colonizing Structure, Corruption, Development, Dictatorship, Economics, Economics: Development Theory and Policy applications. Despite its damn statistics of massive long term paper growth of TPLF Ethiopia’s economy, the country is still ranked among the worst performing in the Global Competitive Index (GCI) 2013 -2014, recently released by the World Economic Forum. (see page 163 for the detail summary of the report). According to the report, Ethiopia dropped 15 places from last year’s 106th position to 121st among the 144 countries profiled. The Global Competitive Index , which was introduced in 2004, measures how the combinations of institutions, policies, and other factors determine the level of productivity of a country. The GCI scores is calculated by putting together the 12 pillars of competitiveness, such as: institutions, infrastructure, macroeconomic environment, health and primary education, higher education and training, goods market efficiency, labour market efficiency, financial market development, technological readiness, market size, business sophistication and innovation. 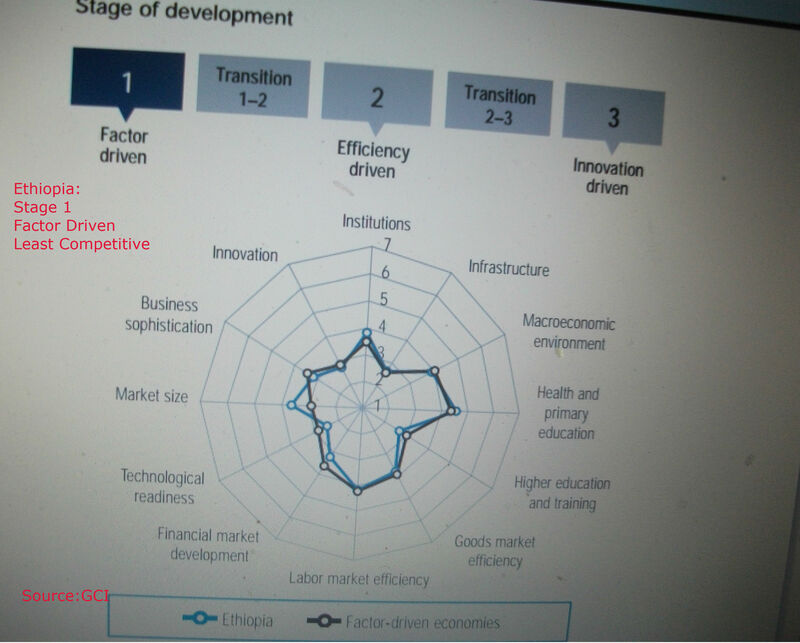 According to the ranking, Ethiopia is placed in the poorest pool of economic development possible (see, the following graphics). Ethiopia ranked as a “factor driven” economy which includes Nigeria, Liberia, Lao, Mali and Yemen.There are four stages of development with innovation-driven economies being the best pool of economies. Ethiopian economic productivity is one of the poorest despite clear advantages of its internal market and economies of scale with population over 85 million compared to other African countries. Due to its population, it has a large internal market size (66 position), only next to Nigeria (the largest internal market size in Africa, also performing poor). GCI has identified weak basic institutional requirements (118) of Ethiopia that account 60% of the index ranking: corruption, poor infrastructure, poor primary education, poor macroeconomic environment, efficiency enhancers and technological readiness. Access to finance, corruption, inefficient government bureaucracy, inflation, policy instability, tax regulations and inadequate supply of infrastructure. Ethiopia with a population of over 85 million only produces $31.7 billion GDP with per capita income of $1 per day. 75.6% say gov’t is corrupt. Satisfaction with gov’t efforts to address poverty: 21.2%. The Governance sub-index dropped two places, to 118th, because of decreases in political rights, political constraints, the rule of law, and regulatory quality.